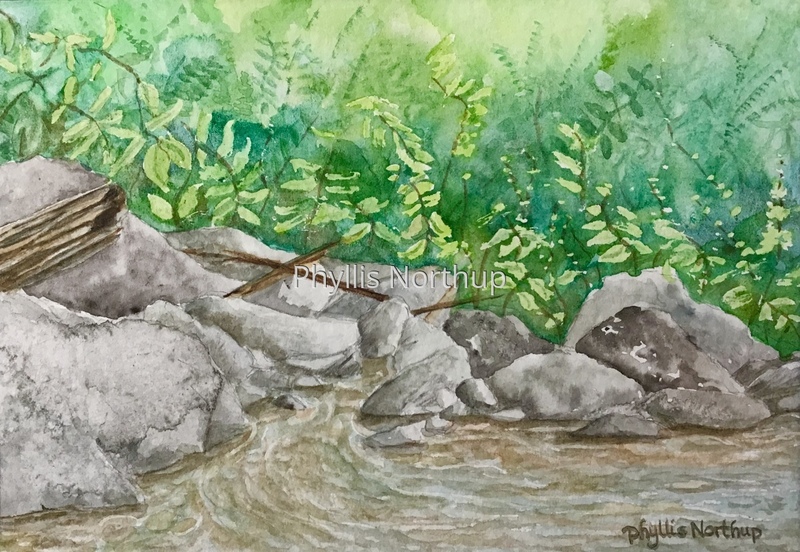 I love to just sit along the stream and take it all in, the sound of the water spilling over the rocks, the particular smell of the stream, the lush vegetation surrounding it, and of course the rocks! I find peace sitting along the stream, do you? Original watercolor matted and ready for a standard 8x10 frame of your choosing. Available at Middle Street Gallery in Washington, VA. Please contact me if you would like to purchase this painting and can't get to the gallery,.